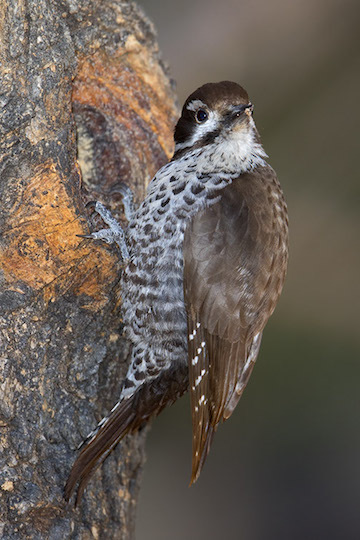 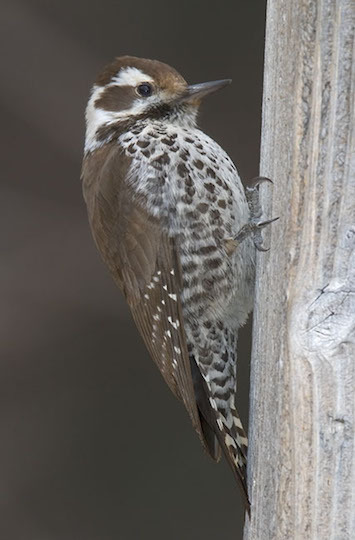 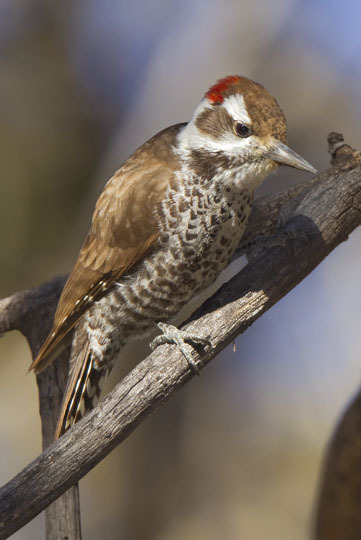 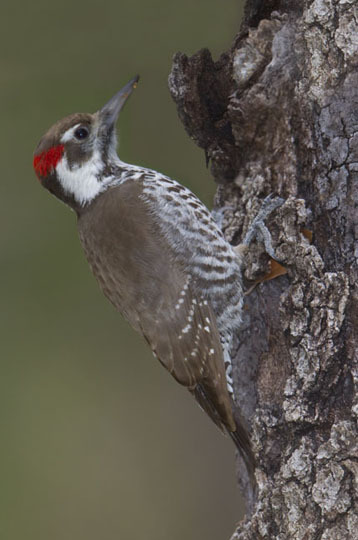 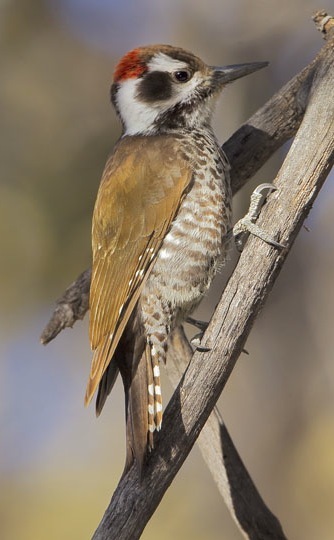 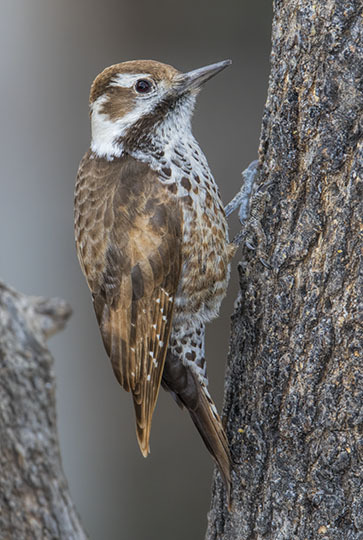 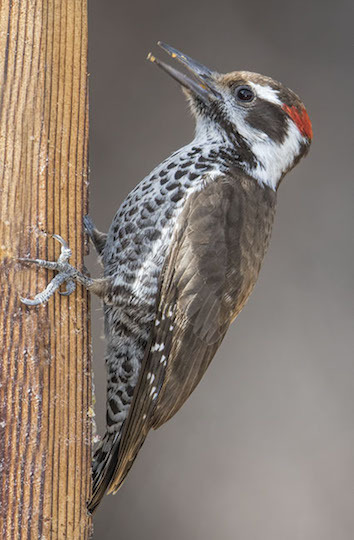 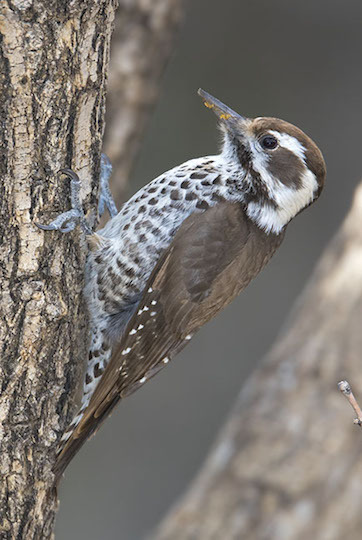 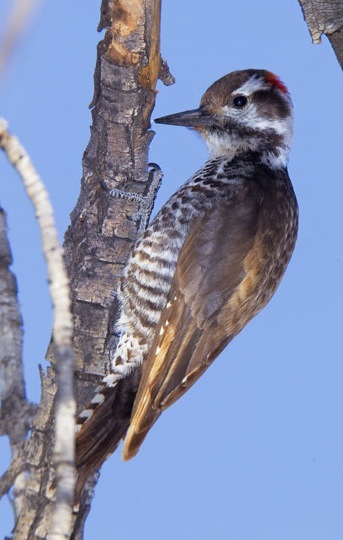 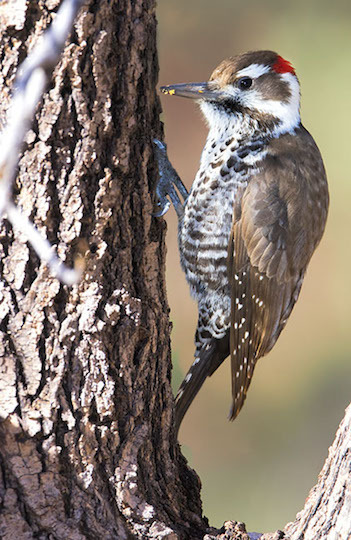 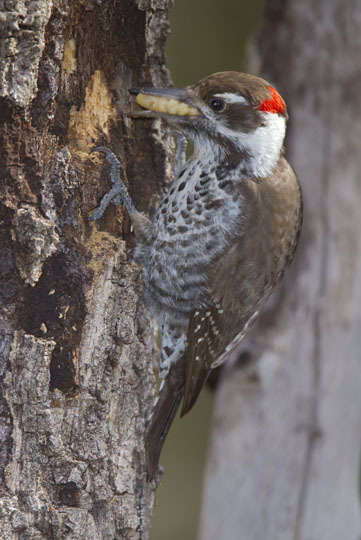 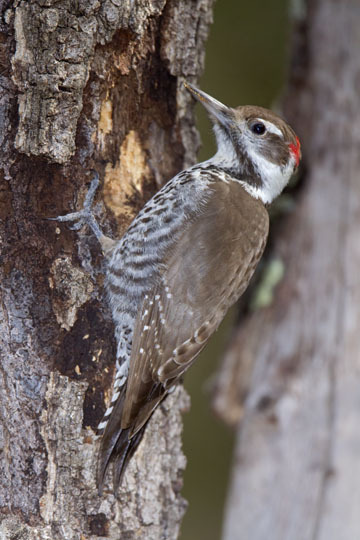 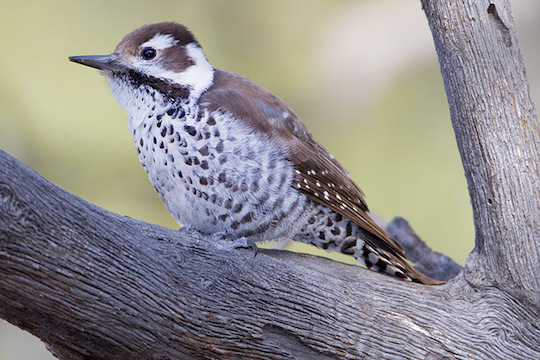 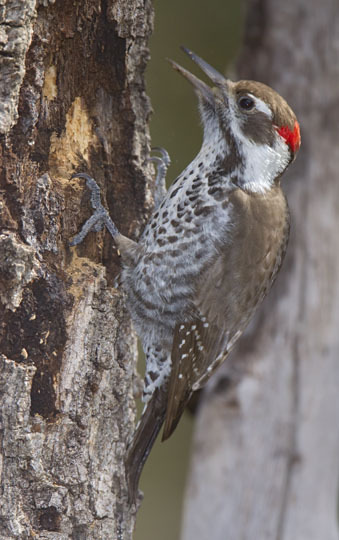 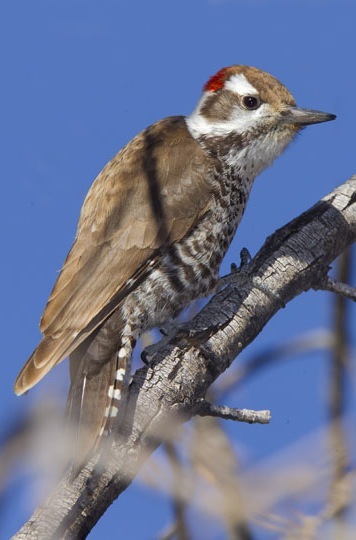 The Arizona woodpecker, formerly thought to be a subspecies of the more southerly Strickland's woodpecker, is found in the US only in mountain forests in southeastern Arizona. 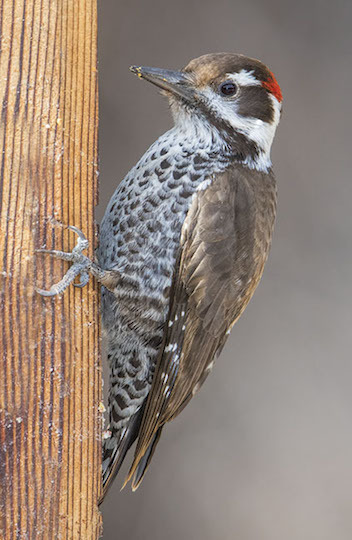 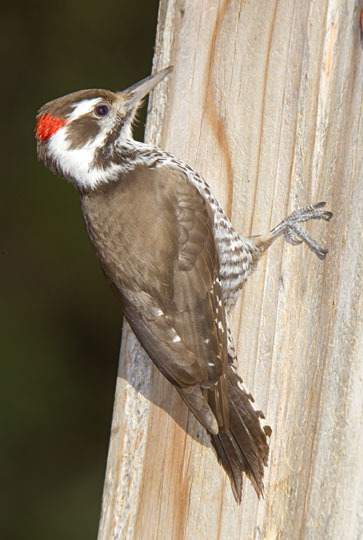 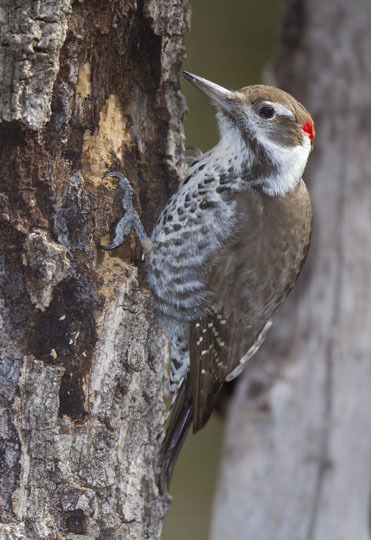 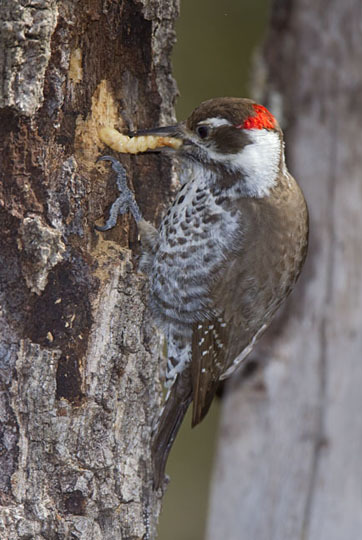 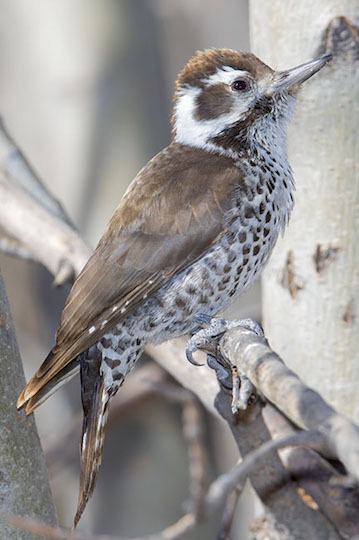 It looks and acts like other woodpeckers but can be easily identified because it is the only US woodpecker with a solid brown back; males have red napes. 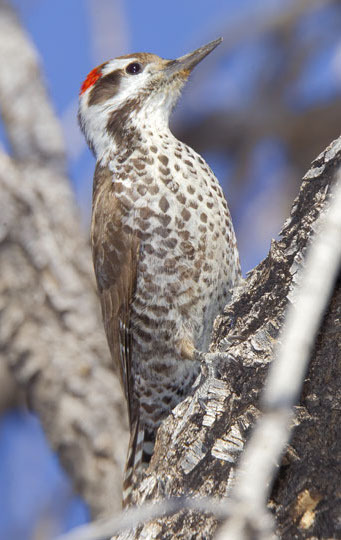 These were in Brown Canyon in the Huachuca Mountains near Sierra Vista, and in Madera Canyon. 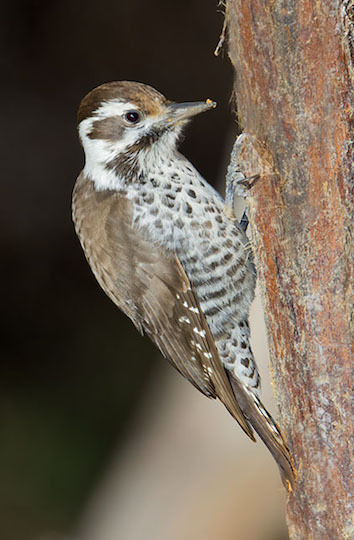 One Madera Canyon male was single-mindedly digging out a large grub and was not distracted when I edged up close and took numerous photographs of the process; finally he succeeded.